Tear 'em up fun! 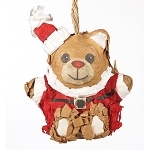 A fun Polly Wanna Pinata for your bird to rip up filled with great dried fruit treats. About 4.5" long. Let the birds get some revenge! 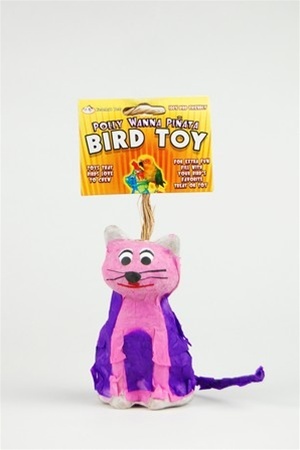 I have not put this in the cage yet, but the product is well made and looks like it will be a lot of fun for my conure. I like that I can add my own treats so I know what is in there and how fresh it is. The kitty isn't huge and it isn't small, I'd say perfect sizing for a medium bird.